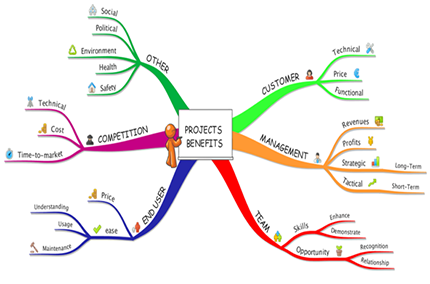 2) …and create a similar Benefit Analysis Mind Map for one of your projects. Your Mind Map can either be drawn by hand or using any Mind Mapping Software (eg iMindmap). The first 5 Mind Maps received by the 19th of August will receive a copy of my book. (Paperback for those in India and e-book for those outside India).